For a third time this season, the Ansonia and Mississinawa Valley boys teams will meet on the hardwood, and this time it will have a little extra meaning. Not that the rivalry between the two schools that are located only 6.5 miles apart isn’t already intense, but with this game being a first-round matchup in the Division IV sectional tournament, the winner advances on and the loser goes home. In the first meeting between the teams Ansonia took the upper hand with a 33-25 victory at The Nest back in December. 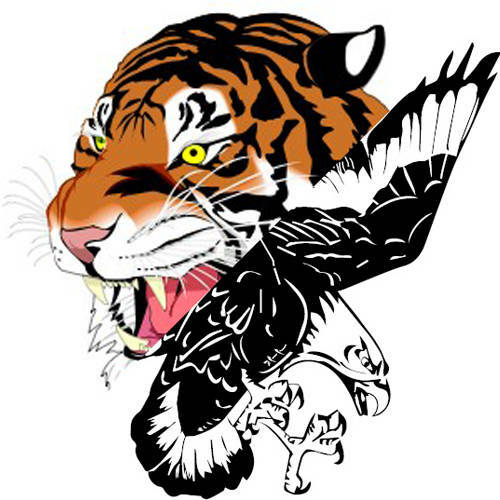 In late January, the Tigers hosted the Blackhawks in the Route 47 Showdown, an all-day event pitting the two schools against each other in both girls and boys basketball games from junior high through high school. It was Mississinawa Valley edging out Ansonia in the boys varsity match on this day, 43-31 to split the season series with one win apiece. The fifth-seeded Tigers will be considered the home team with the seventh-seeded Blackhawks the visitor when they square off at 6 p.m. on Friday, Feb. 22 at Piqua. The winner will earn a trip to the semifinal round where they will face Botkins, the No. 4 seed, at 6 p.m. on Tuesday, Feb. 26. As a No. 5 seed, Ansonia (12-8) is ranked the highest seed of any Darke County school across the sectional tournament. Local seeding in Division IV has Mississinawa Valley (9-10) at No. 7 and Bradford (0-19) at No. 13 all in the Piqua brackets. Bradford’s first round game will occur in the semifinal round as the Railroaders will take on the winner between top-seeded Jackson Center and North Lewisburg Triad at 7:30 p.m. on Thursday, Feb. 28. In the D-IV Troy brackets, Tri-Village is a No. 8 seed and Franklin-Monroe is a No. 9 seed. The Patriots (8-12) will play a first round match against seventh-seeded Miami Valley (7-9) at 7:30 p.m. on Saturday, Feb. 23 at Troy. This will be the first meeting between the two schools this season. The Jets (10-9) will take on the winner between fourth-seeded Cedarville and sixth-seeded Southeastern at 6 p.m. on Tuesday, Feb. 26 in the semifinal round at Troy. FM played Cedarville earlier this season and lost by a single points, 51-50. Southeastern was not on the Jets schedule. In Division III, Versailles earned a No. 7 seed while Arcanum was the No. 12 seed. The Tigers (11-9) won’t play until the semifinal round where they will face the winner between No. 17 Jamestown Greeneview and No. 6 Twin Valley South at 6 p.m. on Tuesday, Feb. 26 at Northmont. The Tigers did not face either team during the regular season. The Trojans (12-7) will face Cross County Conference rival and No. 6 seed National Trail (17-2) at 7:30 p.m. on Tuesday, Feb. 26 in a semifinal battle at Vandalia Butler. The Trojans defeated the Lumberjacks in their only meeting this season way back in early December, 47-41. In Division II, Greenville (0-19) is the 12th seed and will await the winner between top-seeded and state-ranked Trowtood-Madison (18-2) and No. 11 Bellefontaine (5-15) for a semifinal matchup at 7:30 p.m. on Thursday, Feb. 28 at Springfield. The Green Wave did not face Bellefontaine this season, but did travel to Trotwood-Madison in early January where they lost to the Rams, 138-48.